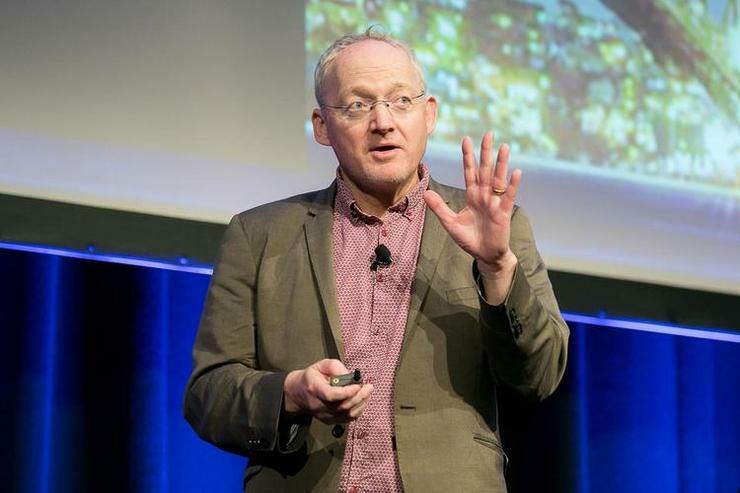 CIOs need to put aside the Hollywood-induced fear that machines will take over the world and that humanity’s days are numbered, according to AI expert Toby Walsh. “We’re a long way from building machines that match human brains,” said Walsh, UNSW professor and research group leader at Data61 (CSIRO), during his keynote address at the CIO Summit in Sydney. “We can build machines that do narrow focused tasks - and they can do those tasks often at super-human level - but it’s yet to be (maybe 50 or 100 years, or ever) before we can build machines that match the full capabilities of humans. And we certainly don’t build machines that have any consciousness, sentience, or desires of their own. “They do exactly what we tell them to do. That’s the problem in fact,” he said, explaining computers are frustratingly literal devices. That said, Walsh said he’s thrilled the topic is now on the radar of the CIO community and starting to show up in strategic business plans. “AI is everyone’s favourite subject these days. It was pretty much my favourite subject since I was a young boy. I was reading too much science fiction and dreaming about a future full of intelligent computers and robots. Walsh said there are a number of reasons why AI is making progress today and happening at this point in history. He said the answer lies with four exponential trends. The first exponential trend is Moore’s Law, which is officially dead because of technical issues like physical quantum limits. “Intel has declared they are not going to double transistor count every two years going forward," he said. “I’m not worried that’s going to hold back the field. Chip designers have been pretty lazy over the last 20 years. They have mostly been just shrinking the 806 architecture. The second exponential is the ever-escalating amount of data. “Corporations are discovering one of the most vital things they have in their business is the data they have, about their operations, about their customers. “The data that’s available has been doubling and that’s very useful for artificial intelligence because a lot of what we do these days, particularly machine learning, is training on data,” he said. But there’s one limitation worth pointing out about AI today, he noted, explaining machines are incredibly slow learners. “Unlike humans, you can all learn from a single example. Machines and state-of-the-art machine learning still needs hundreds of thousands, sometimes millions of examples to learn from," he said. The fourth exponential trend is the amount of money flowing into the field, he noted. “With this you can measure the amount of venture capital flowing into the field. You can see the activity, the amount of people, the number of companies and the number of startups - all of these sorts of things have been doubling again every two years or so,” he said. But while progress is being made, Walsh cautioned there’s still a long way to go before the industry can build machines that can perform a broad set of tasks that humans can do. “You can recognise faces with a moment’s thought and that’s what we can teach computers to do. We can teach computers to do it, but we should be very careful that when we do so, they may very well have the same biases that we have,” he said. Already, some of these jobs today involve increased amounts of automation and AI. Chatbots are a good example of a practical use of AI. AI to become next Australian Prime Minister?